the Entire Family is fully equipped to accurately diagnose, advise, and perform necessary dental procedures to you maintain optimal oral health when it’s convenient for you. Our dental team of professionals have advanced training and expertise to perform a variety of preventive, cosmetic, restorative, and therapeutic dental procedures utilizing cutting edge dental technologies. Your satisfaction is guaranteed. If you’ve recently seen another dentist and have unanswered questions or concerns regarding treatment that was presented (or not presented), we’re happy to provide you a complimentary second opinion exam and consultation. Have a toothache? Chipped? or a broken tooth? Call (763) 586-9988 during business hours. One of our patient care coordinators will assist you to schedule a same day appointment with one of our dentists. During your appointment, the dentist will examine, diagnose, and explain your treatment findings. Afterwards, they’ll discuss your available options with you so that you can make an informed decision regarding whether or not you wish to complete proposed treatment the same day. 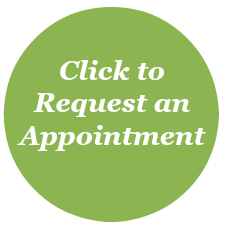 Select and click on a category below to learn more about the most common dental procedures and services we provide. “Prevention is better than cure” (D. Erasmus). Research has proven just how important it is to smile. When you smile, those around you will perceive you as “friendly, approachable, more attractive, and more fun”. Neuroscience has shown positive health effects when people smile. Dr. Cretzmeyer, owner of Dentistry for the Entire Family, has 40 years of expertise helping people enhance and improve their smile aesthetics. Whether you are interested in teeth whitening or a smile makeover, Dr. Cretzmeyer can help you LOVE your smile again! Dentistry for the Entire Family offers complimentary consultations. Listed below are just a few of the cosmetic dental procedures we offer. Restorative dental procedures such as dental fillings are placed to repair the effects from dental caries, trauma, defect, or disease inside the mouth. Advancements in dental technology have provided a vast array of options to restore teeth, painlessly. Below are a few of the most common restorative dental procedures our dentists perform. For some dental diagnoses, there is no cure. You’re options are restricted to disease management or removal of the tooth. Periodontal disease is one such example. If left untreated, periodontal disease can cause loss of otherwise healthy teeth. It’s symptoms vary widely and their is a genetic risk for all of us. The same scenario holds true regarding the detection of dental caries, if left untreated, dental caries can impact and adversely effect the blood supply or nerve of the tooth and cause pain and swelling, resulting in a bad toothache. Maintaining regular dental visits and good home dental care habits will greatly reduce the likelihood of either of these scenarios from occurring. Dentistry for the Entire Family’s dental hygienists routinely check for signs and symptoms of periodontal disease and expose digital x-rays as ordered by the dentist to check for dental caries. Below is a list of the most common therapeutic dental procedures we perform.